THE LOCAL EXPERIENCED HOME INSULATION EXPERTS AT AMI BUILDERS NC. Does your Raleigh Home need insulation ? Does your home leak out your hard earned money through cracks and unsealed vents and windows ? 1) This leaves you with a Leaky Roof, Windows, Doors, Walls, even Floors. 2) Let AMI Builders NC Provide Expert installation by certified energy experts. No Catches. 4) Free Home Insulation, Attic Insulation, Wall Insulation Energy Efficiency Test. Has a storm or bad weather damaged your house or property? Does your home have visible storm damage ? How about the damage you can’t see ? Like the one the contractor made before you moved into your home by performing shoddy work or poor quality construction. Let us set you up with one our experienced home repair and home improvement experts and provide you with a Free Raleigh Home Insulation Quotes and Estimates. Does Your house need a new roof, Insulation in the attic or walls, maybe some siding, gutters, or windows ? Let AMI Builders NC Help You With all Those Home Improvement needs. We a Fully Licensed and Insured and we work with all Major Insurance companies to help you with any and all insurance claims. Serving the NC area including the Triangle and surrounding areas, AMI Builders NC offers residential residents with advanced and efficient Home Improvement Solutions. 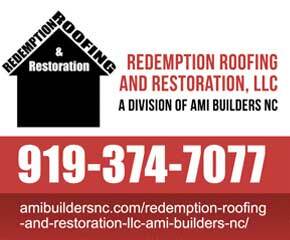 So if your hose is requiring Insulation in the walls, insulation In the attic, a new roof, exterior vinyl siding, gutters, roof repairs, double or single energy efficient doors or windows, AMI Builders NC provides the best quality proven materials and energy saving systems with expert knowledge and experienced workmanship that is second to none and with over 30 years in business you can trust that we will get it done the right way the first time. Suspect you have Storm Damage, or Leaky Roof, or tired of losing your hard earned money on energy bills give us a call or contact us today ! We are here to help. 1) Free Home – In Home Energy Analysis. 2) Call AMI Builders NC to set up a free appointment with one of our representatives. Roof Damage, Wind Damage, Siding Damage, Vent Damage, Low Heat Rating or R-Value rating, we can make sure your home has adequate and a Proper R-Value Rating, we will also check the efficiency of your heating unit and cooling systems and the proper application of insulation materials and products. 1) We will guide you each step of the way on how to properly report any and all loss with your insurance company. 2) If needed we will work with and meet with your insurance adjuster underwriter to address any and all problem areas. 3) If there is any damage to your house or property and you need to make repairs we will review all of your insurance company’s estimate and ensure that nothing was overlooked or missed.